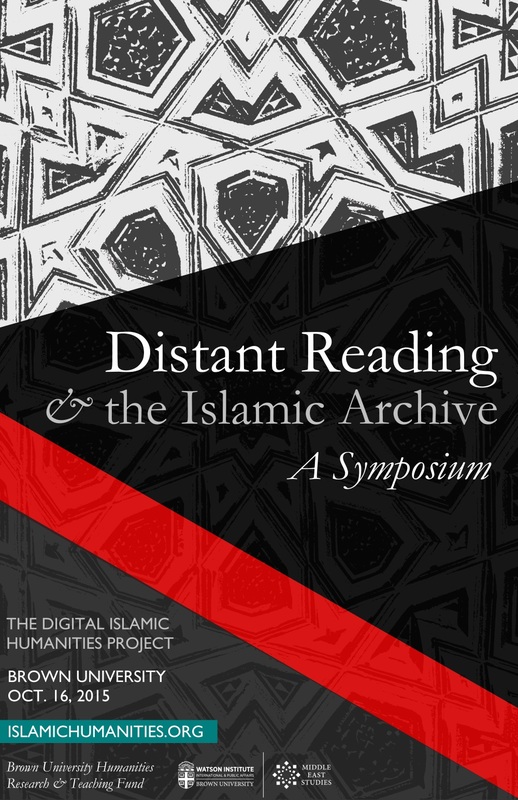 The Digital Islamic Humanities Project at Brown University is pleased to announce its third annual conference, titled “Distant Reading and the Islamic Archive,” which will be held on Friday, October 16, 2015. Speaker biographies, paper abstracts, and the conference program may be found here. Please note that the event is fully subscribed. A live webcast will be available at this link, beginning at 8:45am on the day of the event. A recording of the proceedings will also be available on the website of the Digital Islamic Humanities Project (islamicDH.org). 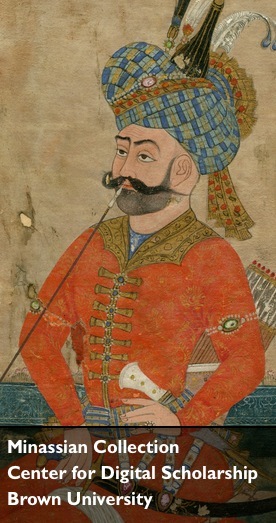 Each year, the number of digitized books, inscriptions, images, documents, and other artifacts from the Islamic world continues to grow. As this archive expands, so too does the repertoire of digital tools for navigating and interpreting its diffuse and varied contents. Drawing upon such tools as topic modeling, context-based search, social network maps, and text reuse algorithms, the study of large-scale archives and textual corpora is undergoing significant and exciting developments. With this in mind, the Middle East Studies program at Brown University is pleased to announce its 3rd annual Islamic Digital Humanities Conference, to be held onOctober 16-17, 2015. We cordially invite proposals for papers related to distant reading and other computational approaches to the study of the pre-modern and early modern Islamic world. Faculty members, postdoctoral fellows, graduate students, archivists, librarians, curators, and other scholars are welcome to apply. Candidates are requested to submit a title and abstract of 300 words and a CV to the conference organizers at digitalhumanities@brown.edu. The deadline for submissions is April 30, 2015, and successful applicants will be notified by the end of May. Papers should be no longer than twenty minutes and read in English. A collection of abstracts from previous conferences and workshops may be found on our website (islamichumanities.org) along with recorded webcasts, a list of digital resources, and announcements for related events. There may be limited funding available to cover travel expenses and hotel accommodation for junior scholars. All other participants are asked to cover their own expenses. The conference will begin at noon on Friday, October 16 and conclude by the early afternoon of Saturday, October 17. Brown University is located in Providence, Rhode Island, one hour south of Boston and easily accessible by train and plane. For any questions, please contact Dr. Elias Muhanna at the email address above. Here is a PDF version of this call for papers; please feel free to circulate it.